Warm the oil in a medium-sized saucepan over high heat. Add the herbs, then the rices. Stir for a few minutes till the rice starts to smell toasty. Add 1 1/2 cups water and the salt. Bring to a boil. Cover, lower heat, and simmer for 20 – 25 minutes. Check every now and again to make sure nothing’s burning. Taste to make sure the rice is soft, but still a little nutty and chewy. Take it off the heat and let it sit uncovered for a few minutes. Stir in the butter and balsamic and season with salt and pepper. 3. About 5 cups of cold water. Bring to a boil. Then reduce the heat to low, and simmer until done. Test after 15 minutes, but it might take closer to 20. You want them to be soft, but not mushy, they should still have their own shape, and almost a little crunch. Add salt and pepper to taste. Stir it right into the broth. Strain the lentils, but keep the liquid, because it makes a delicious broth to add to soups or stews. 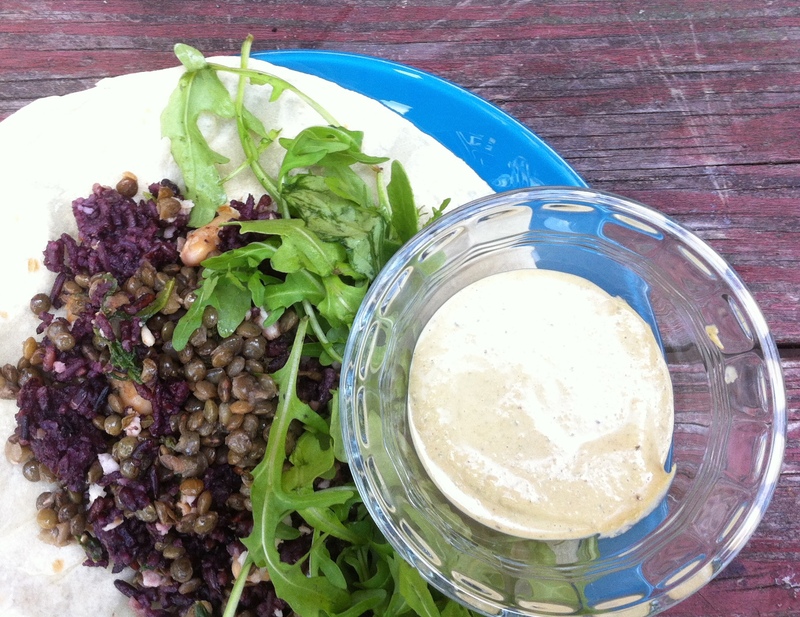 Add a dollop of butter and a dash of balsamic to the lentils, to really bring out their flavor. Warm the olive oil in a frying pan over medium heat. Add the garlic, stir and cook till it just starts to color. Add the beans, stir to warm through. Add the lentils, stir to combine and warm through. Add the spinach and spices and a bit of water, and stir and cook until the spinach is wilted and everything is hot and combined. You can add a bit of water if it dries out more than you like. Serve over the red rice. In a food processor process the pistachios, almonds, garlic and herbs till finely chopped. Add the olive oil and balsamic and process till smooth. Add enough water to make the mixture about as thick as heavy cream, and process until velvety smooth. 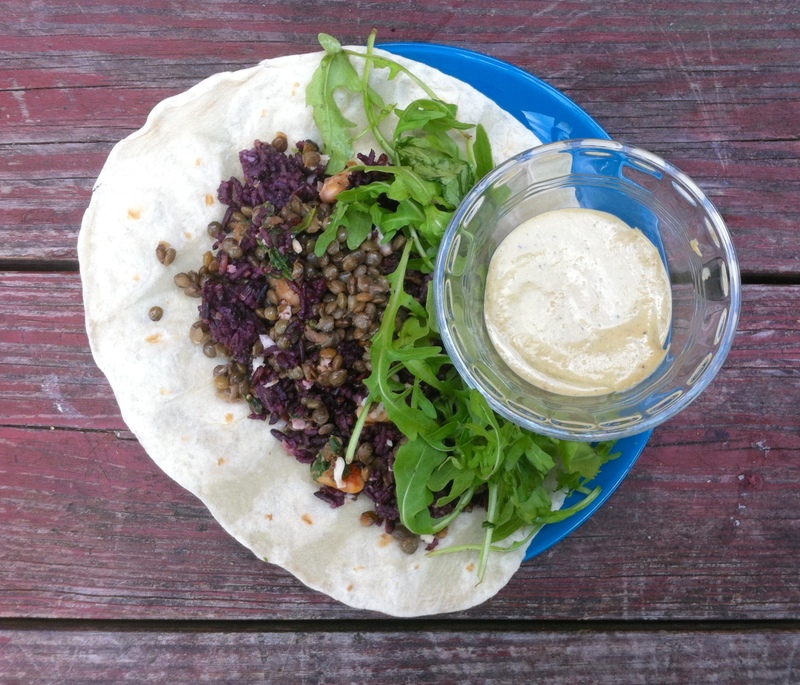 This entry was posted in croquettes, dip, rice and tagged black rice, french lentils, tacos by Claire. Bookmark the permalink.